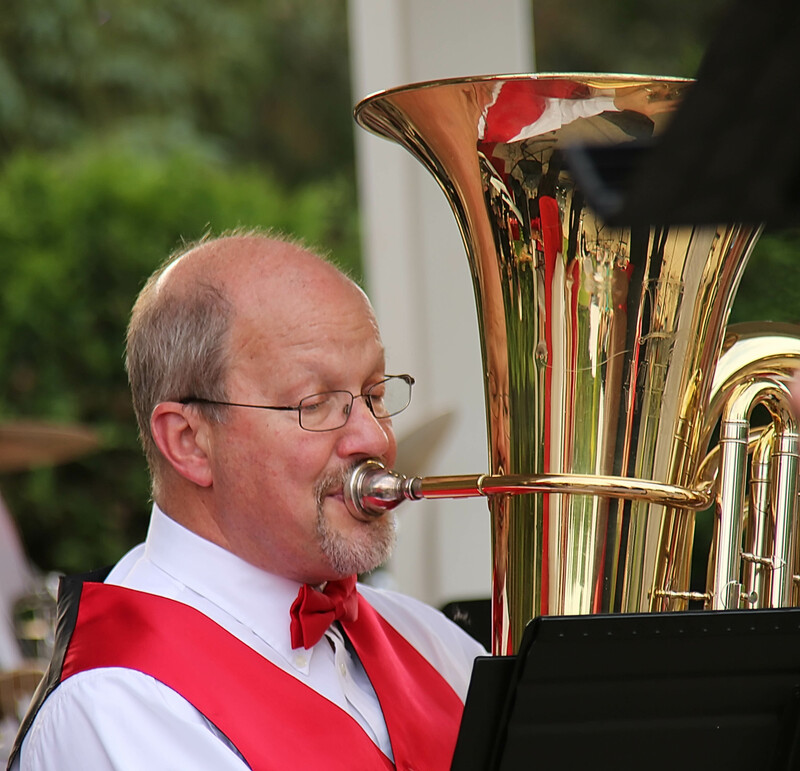 I got my start playing tuba in junior high school and had the good fortune of having a band director who loved Dixieland music and wrote and arranged music for the student band. At that same time, I connected with a group of guys in a polka band and played weddings and events from junior high through college. Our leader acquired arrangements from the libraries of Whoopee John and Six Fat Dutchman which were both fun and challenging to play and were great training for Dixieland. The band added swing and rock tunes to the library and I taught myself to play bass guitar to support that music style. I played in concert and jazz band through high school and college but once I moved and started my “day job”, I dropped out of playing. We relocated to Minnesota in 1990 and I had the chance to start playing bass at New Life Church in the praise band and occasionally in the orchestra and a brass quintet. I got connected to Red Rock Swing Band and play in that group along with some sub work in other swing bands in the East Metro. Stompers is my first chance in a long time to play Dixieland and it has been a thrill. One of my inspirations is Dave Gannett – every Tuba player should listen to his solo work on “When You’re Smiling” or “Yakkety Tuba”.